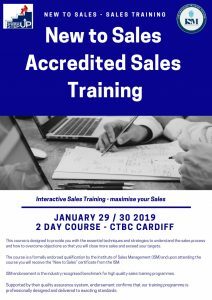 Accredited Sales Training – New to Sales – 2 day course – 29th/30th January 2019, CBTC Cardiff Early Bird £595 + VAT – Event Sold Out!! 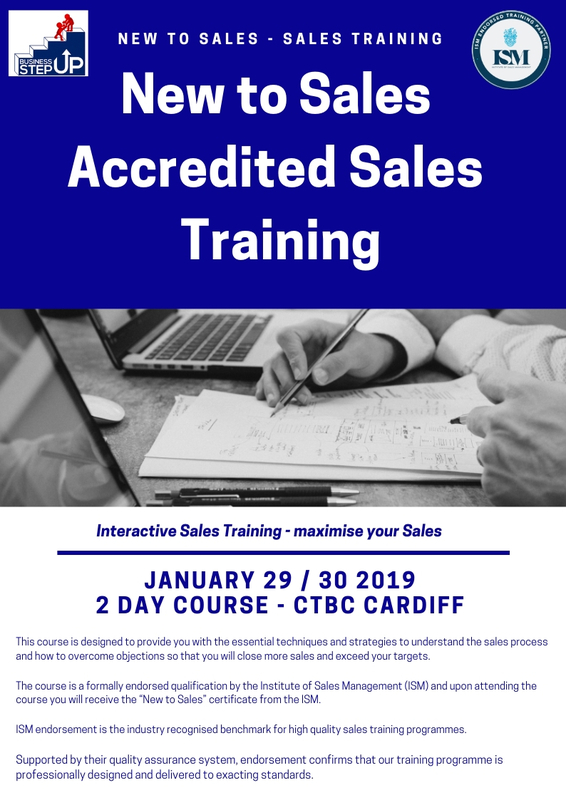 This course is designed to provide you with the essential techniques and strategies to understand the sales process and how to overcome objections so that you will close more sales and exceed your targets. The course is a formally endorsed qualification by the Institute of Sales Management (ISM) and upon attending the course you will receive the “New to Sales” certificate from the ISM. Learn how to use body language and non-verbal communication to your advantage – how to influence your client without them knowing! Most businesses hand their financial data reporting to their accountant and get a report back once a year.. If you are serious about your business maximising its potential, is that enough? Knowing your Numbers, making the numbers work for you, understanding the numbers is the only true way forward to becoming financially successful, in most cases an accountant is not there to assist with growing a business, that’s what you do! 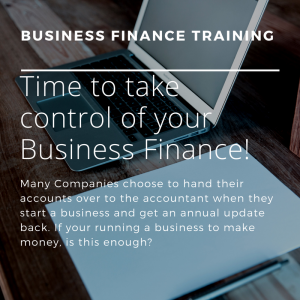 This course has been designed after years of experience with clients filling in the gaps in their finance knowledge to give them the power to take control and use their financial data to drive their business forwards. We use clear easy to understand language, and case studies to give context and increase learning. This course is a must for any one serious about growing their business, increasing their cash flow and maximising their growth and profits, that feels they would benefit from increasing their knowledge of accountancy and business finance, without knowing your numbers, your business cannot become successful, that’s a fact and your accountant is not there to teach you this! You will learn how to read and understand your numbers, how to understand the data the accountant provides and how to ask them relevant questions. Businesses who will gain from this course; Pre / Post Start-ups and SME’s. How to use your data! Handouts covering the content will be provided. Refreshments are provided.